Our Limoncello Chicken is a twist on the classic, simple yet tasty with the added bonus of Luxardo flavours. CHOP the chicken into large chunks. CHOP the spring onions and separating the white part from the green. ADD the stock, cornflour and lemon juice mix and bring to a simmer, cook for a further 5 to 6 mins. 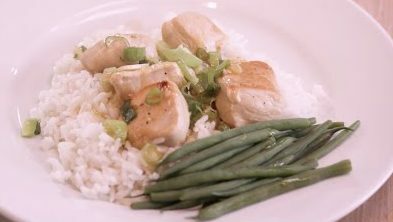 SEASON with salt and pepper and serve over plain rice.